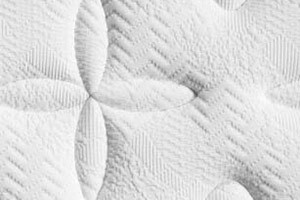 The natural latex mattress Essence has a structure made from a solid in pure latex foam bialveolato to 7 lift areas that receive a balanced each body part. The open cell structure permeable to air and the present drilling on both sides (bialveolati), ensure excellent microclimatic system, preventing the formation of moisture stagnation. It can be customized with 4 different types of upholstery and padding, can satisfy many needs. Latex mattress 100% natural medium / hard lift, height 22 cm. 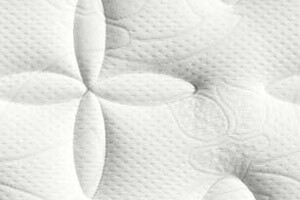 Comfort: double comfort padding with a side viscoelastic memory foam, soft and cozy, ideal for the winter, and a fiber-side Elastfill, cool and breathable, particularly pleasant in summer. 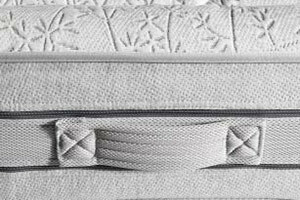 The fabric is protected with Sanitized treatment with antibacterial and dust mite resistant.